Dustin Benton is head of resources at Green Alliance. Green Alliance is part of the Alliance for Circular Economy Solutions (ACES), a partnership of businesses and think tanks committed to ambitious circular economy policy in Europe. Lightweight, durable, and low-cost plastics have transformed the products we make and consume, becoming ubiquitous through their convenience and adaptability. A recent briefing paper by IEEP sets out the damage that plastics can cause to our ocean environment, with complementary product briefs outlining the damage from microbeads, polystyrene, and single-use plastics respectively. Up to 12.5 million tonnes of plastic enters the oceans as marine litter every year, creating huge environmental, social, and economic costs. 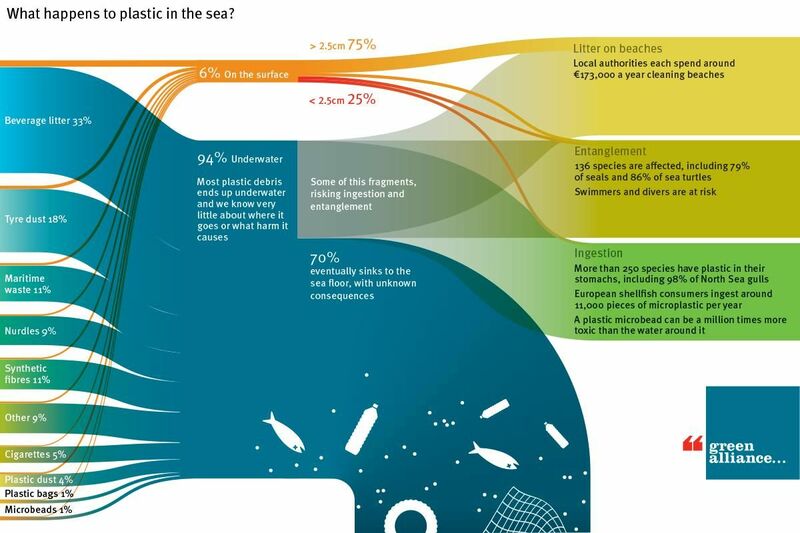 And it’s not only the visible plastic causing damage: a new IUCN report shows that up to 30% of plastic pollution in the seas is caused by microplastic particles, coming from products like personal care cosmetics, synthetic textiles and car tyres. These are problems that need to be urgently solved if we are to move towards a more circular economy. 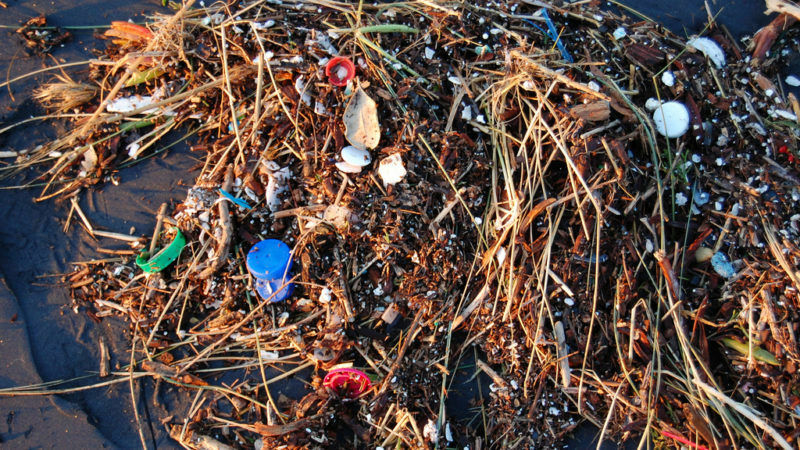 The UN has just announced its own ‘Clean Seas’ campaign to tackle the plastics problem. In Europe, the European Commission has promised action to make plastics part of the circular economy. The EU plastics strategy is critical to addressing this, and the Commission is looking for ideas to include in its plan, which will be published by the end of the year. So do we need to clean up our beaches, remove plastic from the sea, and fish it out of the oceans using booms, filters and gyres then? As awareness of the problem has grown, so has the number of technological solutions being offered, all of which seek to free us of the need to change our habits. Policymakers are attracted to these answers, since they promise low-cost, pain-free absolution. A mea culpa to mother nature. But even the best clean-up job cannot solve this crisis, not least because 70% of plastic waste sinks to the sea floor, so we cannot hope to simply sweep it from the surface. The oceans can tell us what’s wrong, but the solutions need to start somewhere else, so that we stop plastics from entering the marine environment in the first place. We need to radically change the way we design plastics, not the way we dispose of them. Whilst plastics are important materials, we need to stop designing products that are both materially inefficient and harmful to the environment. For some products this means replacing plastic with less harmful alternatives. Microbeads are one example. National policy-makers are slowly starting to take measures to ban their use in cosmetics, and the Commission is likely to bring forward proposals to regulate their use across Europe. But as IEEP’s microbead briefing points out, they are present not only in cosmetics, but also in detergents and products like sun screen. Other examples of bad design also need to be tackled. Single-use plastics, such as plastic cutlery, plastic sticks used for cotton buds, polystyrene packaging, and plastic cigarette filters are all designed to be thrown away and should be replaced with reusable or biodegradable alternatives. Where plastics are used, then design improvements can make a difference. Increasing the quality of plastic polymers can make them more recyclable, increase their value, and make it more likely that such products can be re-used. Adding tethers to plastic bottle caps can avoid them being lost into the oceans. Ecodesign regulations could encourage smarter design so that more of the value of plastic can be retained rather than being lost as waste. In some cases, we can also look towards technology innovation to provide design solutions. Bioplastics could be useful in some situations, such as for food packaging. But as the recent Green Alliance report on novel materials points out, more research is needed to ensure that we take into account the carbon and land-use impacts of bioplastic feedstocks, and that bioplastic can actually achieve its optimistic promises of biodegradability in the real world. Of course, we do also need to look at how we dispose of plastics. But that doesn’t mean focusing on fishing it out of the sea. We can increase the recycling of plastics through bottle deposit schemes that stop bottles turning into beach litter. Microbeads are flushed into the oceans every time we launder synthetic clothing – we may need to look at improving the use of filters to prevent this. We need a range of measures to tackle this problem. Let’s hope that the Commission sees the big picture, and has the courage to encourage us to change how we use plastics, not just to clean-up the consequences.